Retirement may be decades away, but it's never too early to start investing, even just a small amount at a time. If your employer offers a 401(k) plan and will match your contributions, don't leave that "free money" on the table! Because contributions are taken from your pay before your employer withholds income tax, you may be able to reduce your tax bill, and more of your money will be able to go to work for you. If your employer doesn't provide a match, it's still important to invest as much as you can now and let your earnings have an opportunity to work in your favor. You may want to think about opening an IRA in addition to or instead of a 401(k) plan if your employer doesn't offer one. Even if you have a 401(k), you may have more investment choices through an IRA. Whether you choose a Traditional or Roth IRA will depend largely on your income and age. (If you're a small business owner, you may also be able to contribute to a small business IRA). Your contributions can grow tax-deferred (you don't pay taxes until you take a distribution, unless you've made a non-deductible contribution). Contributions may also be tax deductible. If you're able to save and invest more, keep it going and make additional contributions to your 401(k). You can invest up to $18,500 annually for 2018, which will set you on a good track for the future and reduce your income tax burden even more. You can also contribute to an IRA. 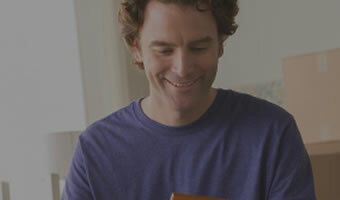 Get insights from Merrill Lynch to help you plan and invest for retirement. Learn more about investing for this phase of your life. How much could you need to retire? 1 Please note, however, that income-based restrictions are still in place regarding how much you can contribute to a Roth IRA. 2 Keep in mind that an automatic investment plan cannot guarantee a profit or prevent a loss in declining markets. Since such an investment plan involves continual investment in securities regardless of fluctuating price levels, you should consider your willingness to continue purchasing during periods of high or low price levels. You have choices about what to do with your employer-sponsored retirement plan accounts. Depending on your financial circumstances, needs and goals, you may choose to roll over to an IRA or convert to a Roth IRA, roll over an employer-sponsored plan account from your old job to your new employer, take a distribution, or leave the account where it is. Each choice may offer different investment options and services, fees and expenses, withdrawal options, required minimum distributions, tax treatment, and different types of protection from creditors and legal judgments. These are complex choices and should be considered with care. 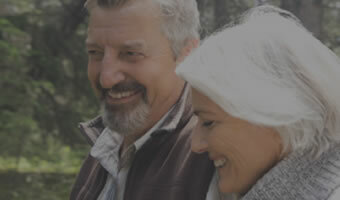 Visit http://www.merrilledge.com/retirement/rollover-ira or call a Merrill Edge® rollover specialist at 888.637.3343 for more information about your choices. Merrill Edge and its Financial Solutions Advisors do not provide tax, accounting or legal advice. Any tax statements contained herein were not intended or written to be used, and cannot be used, for the purpose of avoiding U.S. federal, state or local tax penalties. Please consult your own independent advisor as to any tax, accounting or legal statements made herein. A direct rollover occurs when you request that a rollover check be made payable directly to the new custodian for the benefit of your individual retirement account (IRA) or employer-sponsored retirement plan. A direct rollover is not subject to current tax or penalties. An indirect rollover occurs when you request that a rollover check be made payable to you, after which you deposit the money into your IRA or another employer's retirement plan within 60 days. When such a distribution is made by the plan, the plan is required by law to withhold 20% of the taxable amount for prepayment of federal income taxes. If you wish to rollover the entire distribution, you must make up the 20% withholding out of your own funds, or you will be subject to income taxes and possibly early withdrawal penalties on the shortfall. If you fail to complete the rollover within 60 days, all or part of the money distributed to you will be taxable and a 10% additional tax for early withdrawals may apply.